Nvidia today unveiled its latest generation graphics processor during an exclusive event in Austin, Texas. Coinciding with Dreamhack USA, Nvidia CEO, Jen-Hsun Huang, launched the Pascal architecture, productised for the gamer as the soon-to-be available GeForce GTX 1080 and GTX 1070. But before we get to the main event, Huang introduced a new in-game feature called Ansel. The technology enables the user, in certain games, to take a super-enhanced screenshot capability. In short, Ansel offers extremely high resolutions, various effects, and, rather novelly, a 360-degree capture primed for virtual reality headsets. The Ansel super-screenshot feature requires support from developers, which Nvidia says is available for a number of high-profile games. It's a neat tool, granted, but we question the long-term value for most gamers. Nvidia also introduced technologies such as VR Works Audio and Simultaneous Multiprojection, which fixes that warping you see on multiple monitors through independent viewport control, and we'll cover these, and more, in a separate article. Coming back to prime time, Huang commented that Pascal, built on a 16nm process, thereby offering 'free' process-driven performance over incumbent 28nm, has been years in the making, with a budget of several billion dollars (really? ), and features new 8GB G5X memory from Micron - no HBM then. Speaking of efficiency first, Huang said that improving efficiency should be first achieved through clean power. He's really talking about the quality of power of converting AC power to DC necessary for graphics cards. Pascal reduces the ripple - familiar to anyone who has an interest in power supplies - from around 210mV on Maxwell to around 120mV. The net benefit is better efficiency across the entire wattage curve. 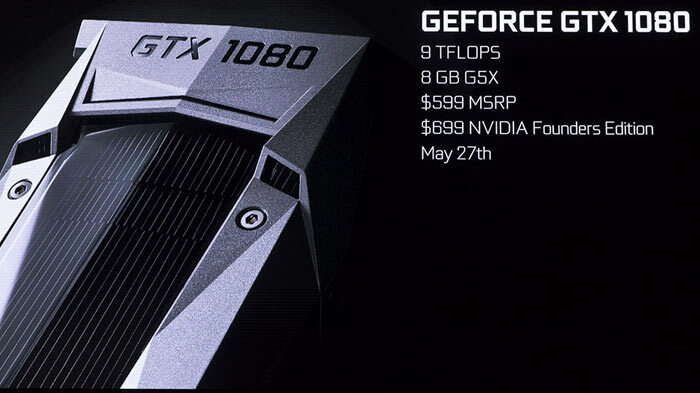 Perhaps the most interesting revelation is that GTX 1080 is a 180W TDP part, not 250W typically found on previous high-end GPUs from both Nvidia and AMD. That said, Huang showed that GTX 1080 is around 20-25 percent faster than Titan X while consuming approximately 30 percent less power. Given what we know about the potential of overclocked GTX 980 Tis from various partners, a vanilla GTX 1080 will barely be any faster. This, clearly, is not the daddy Pascal GPU, because Nvidia doesn't need it: GTX 1080 Ti is probably lying in wait. We can hope that partners tap into the extra available TDP and really push this GTX 1080 to the limit, to enable more fluid gameplay at 4K. Nvidia's first throw of the Pascal dice has resulted in a chip with greater-than-ever efficiciency. That's pretty much a given when moving down manufacturing processes, mind, so the performance increases over Maxwell is very decent rather than outright spectacular. 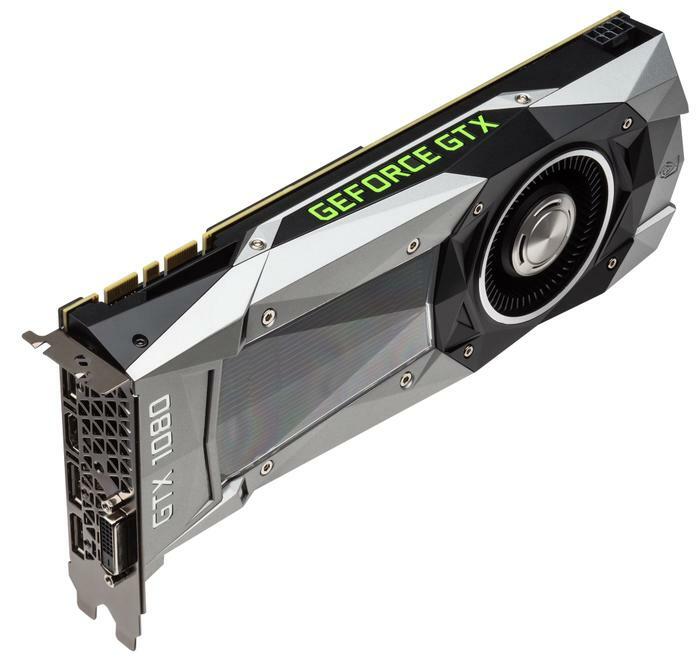 GTX 1080, however, is twice as fast as a GTX 980, which is GPU with a 165W TDP, so, doing the maths, Pascal is actually about 80 percent faster than Maxwell on an energy-equivalent basis, before other optimisations are taken into account. The first high-level official information from Nvidia on it newest, most powerful GPU, the GTX 1080, intimates that it's achieving best-in-class performance through smarter efficiency than via brute force alone. Costing $599, it will be available on May 27. 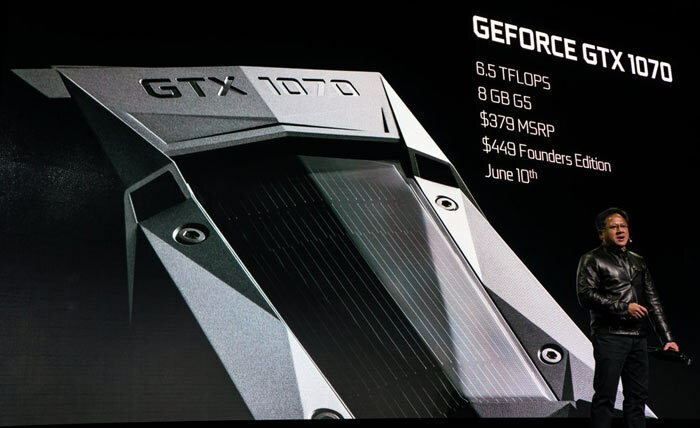 The cutdown GTX 1070, meanwhile, will cost $379. Expected to offer 80 percent of the performance for a much more agreeable outlay, it appears to be the sweetspot card. Our benchmarks coming soon. Meh, but better than expected. We'll see what AMD has to offer. I think the TDP there is the craziest bit. I wasn't expecting that much of a Wattage-to-peformance increase. As long as there's no more RAM shenanigans, the 1070 may be my next card. So 25% faster than a GTXTitan/980Ti for around £400 plus VAT with some fancy VR tech. Not bad. I hope the 180 watt TDP isn't another hard limit. £400 + (20%)VAT = £500, so same(ish) as 980Ti then. GTX 1080 is around 20-25 percent faster than Titan X while consuming approximately 30 percent less power… lets not forget Titan X has 12GB of GDDR5 which is awesome for video & animation rendering. The GTX1080 has a 2.1GHZ clockspeed and GDDR5X. The GTX1070 has GDDR5 instead. It also nearly 40% extra TFLOPS too. I hope that does not mean the GTX1070 is much slower? With the GTX1070 having only GDDR5,it has no hope of catching the GTX1080,and I suspect it will be in-between GTX980 and GTX980TI level performance. Would not suprise me if it is Fury level or a tad faster. MRSP of the GTX1070 is $379 instead of the $329 for the GTX970. So with VAT would be probably £310 to £320. 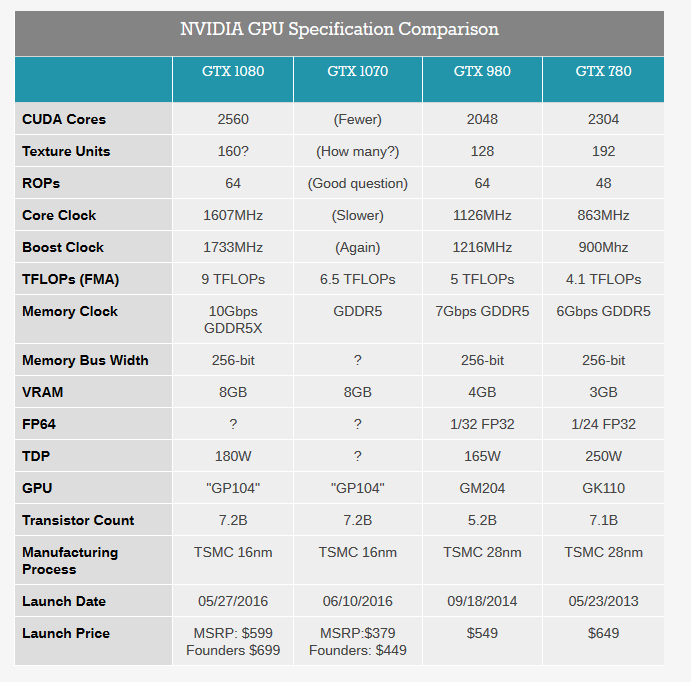 So around 10% less transistors than the GM200 and a 10% higher TDP than a GTX980.